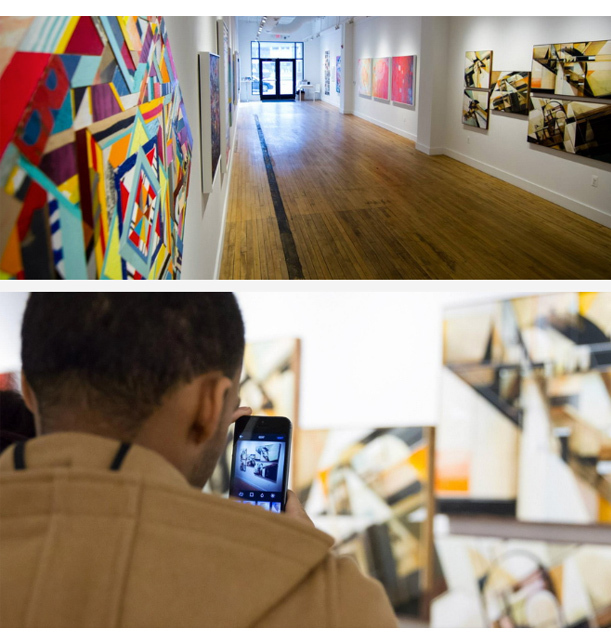 After finishing up their big mural project, the Library Street Collective recently opened a group show featuring artwork from all the participating artists. Covering a wide range of styles, techniques and mediums, artists from all over the globe gladly partook in one of the biggest urban and contemporary art shows Detroit has seen in a long time. Featuring works by such names as Dabs Myla, How Nosm, Interesni Kazki, Tristan Eaton, Cyrcle, Revok, Gaia, Remi Rough, Sam Friedman, Maya Hayuk, Augustine Kofie, Pose, Logan Hicks, and more, the exhibition is a colorful overview of the infinite creative energy from the 27 artists featured in this project. 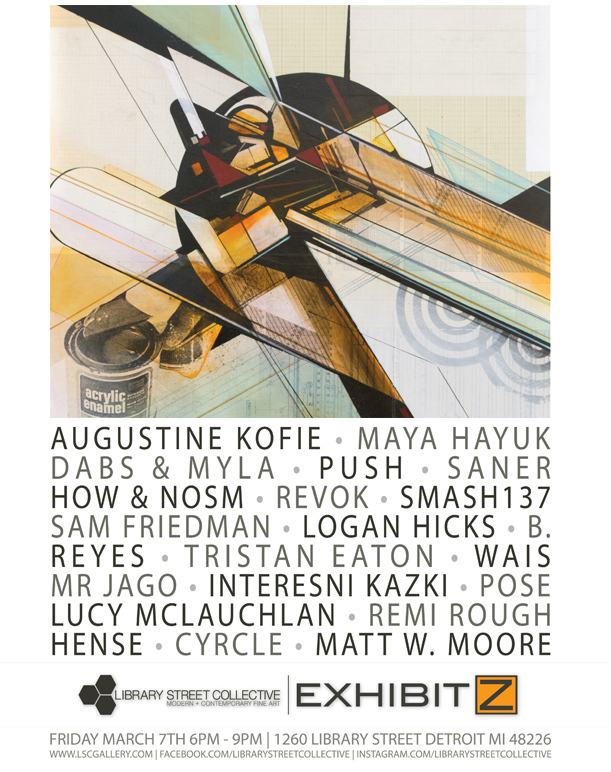 While the large murals created inside of “The Z “garage in downtown Detroit represented the street expression of their art, the sculptures, paintings and drawings exhibited at the LSC gallery showcased the participants’ fine art side. Ranging from surrealistic to expressive, abstract and futuristic, with lots of elements and influences of graffiti and urban art mixed in, the works in this show surely have something for everyone to enjoy. The exhibition is planned to be on view until the end of April, so make sure you check it out in person for a full experience.